When there is a new development in technology some people embrace it and are eager to adopt it, thus enjoying the benefits and making their lives easier. On the other side of the spectrum, some people become more withdrawn and averse to taking the risk, thus missing out on things that could help improve their business communication. Even though many businesses have adopted fax to email and have done away with traditional fax to email, there are those that are lagging behind. Today we highlight the main differences between fax to email and traditional fax services. The biggest benefit of fax over email is the flexibility it offers as well as the money it saves you. You can choose what you want to do with the faxes that you receive, whether you want to archive them or delete them without the hassle of having piles of useless, wasted paper that you need to recycle. Fax over email offers users secure faxing that is private from their email accounts, unlike traditional fax with which you receive faxes with everyone else on the communal fax machine, running the risk of not receiving faxes as they may be lost in the sea of other people’s documents. 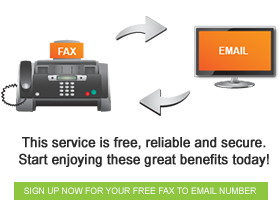 With fax to email you are able to send and receive multiple faxes from your email account. There are numerous advantages to using fax over email, making it a favorable option for streamlining your business communication. Contact us today to learn more about what we have to offer you.